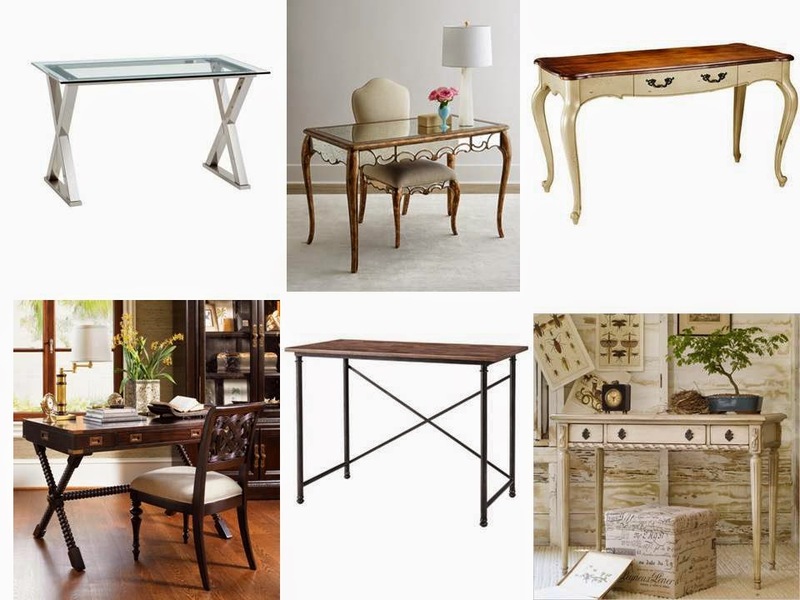 One of my favorite things to do in a Master Bedroom design is to incorporate a writing desk. These are such lovely, and often feminine pieces of furniture. Utilizing a writing desk with a lovely chair in place of a night chest or table one on side of the bed provides certain unexpected interest in a bedroom, and keeps things from looking too matchy-matchy. And as a bonus, they are useful pieces as well. Writing desks are also great for providing "office area" in small spaces where a full size desk would be too heavy (visually) and where space is at a premium.